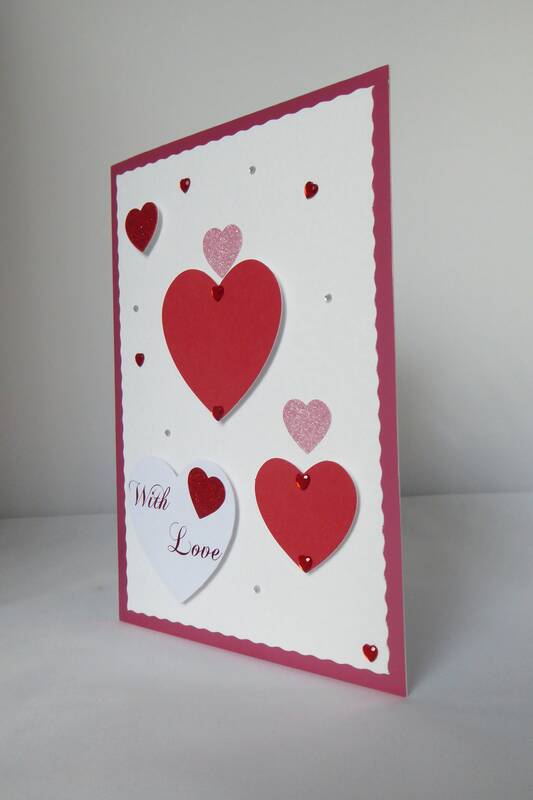 Valentines card. 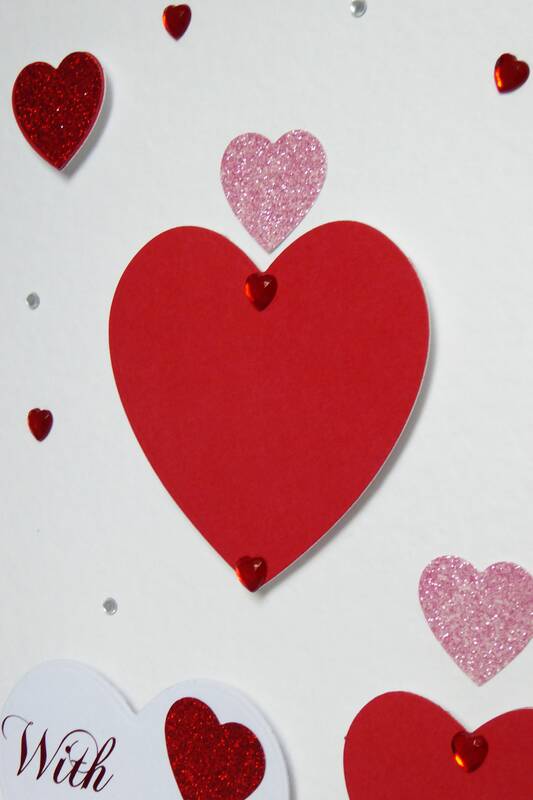 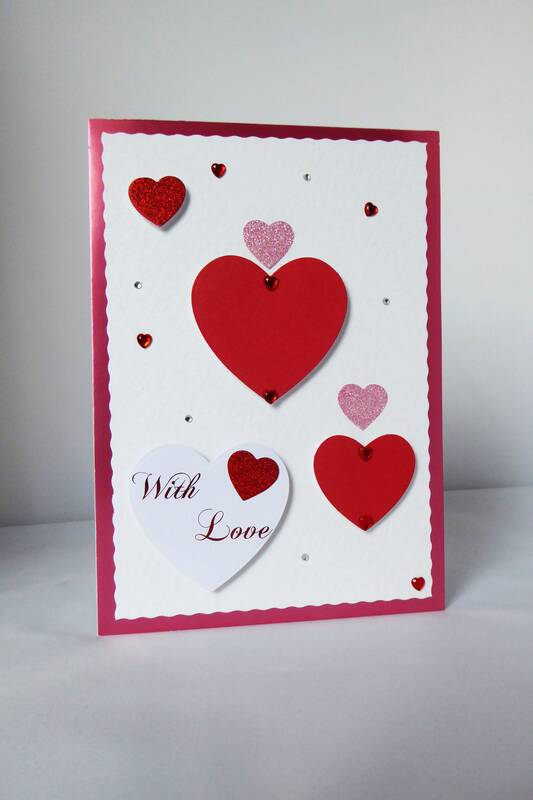 with pink and red hearts on a white background. 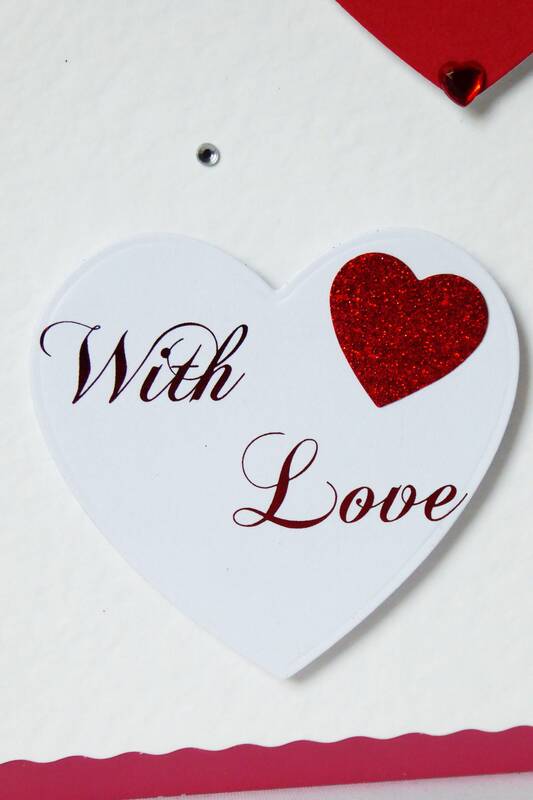 A sentiment laser writing and foiled with red foil which says, ' With Love'. 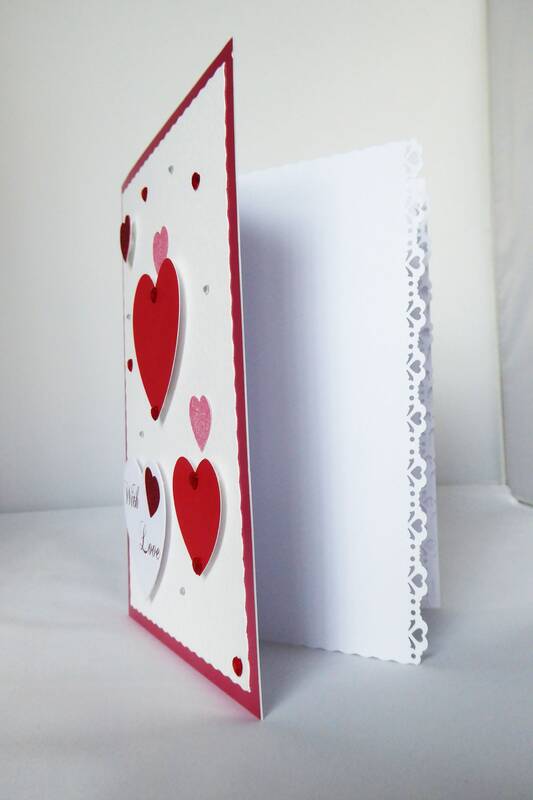 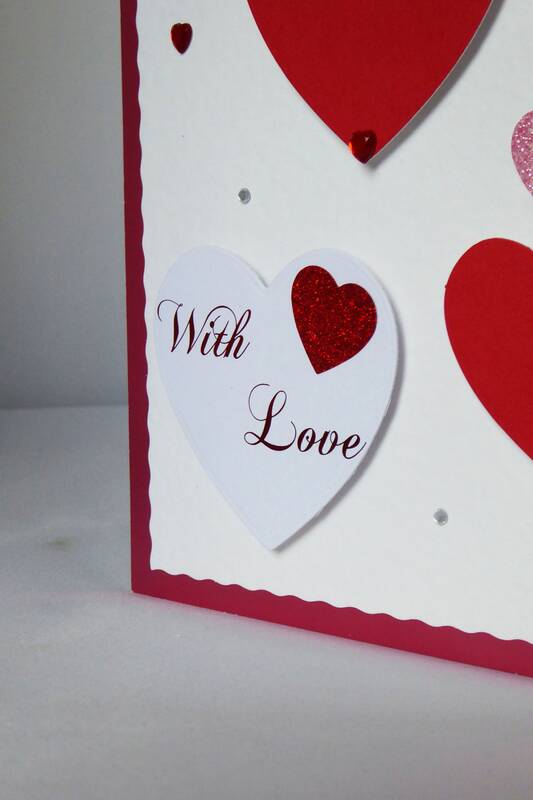 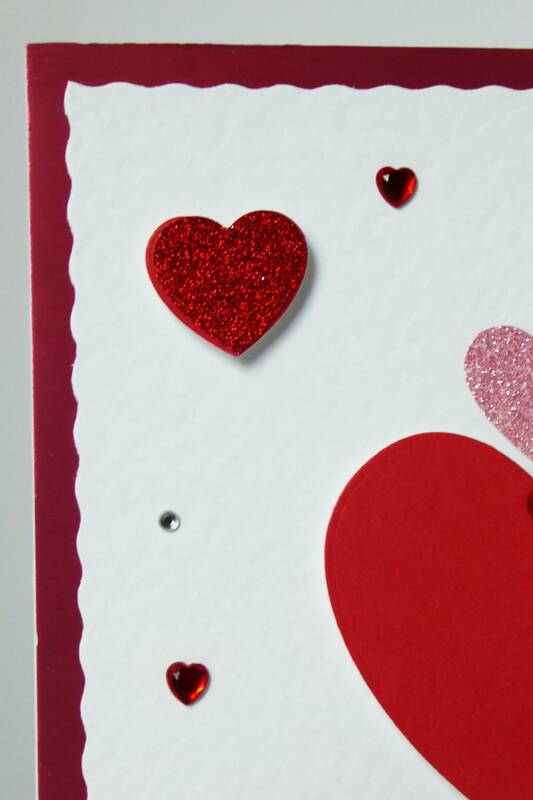 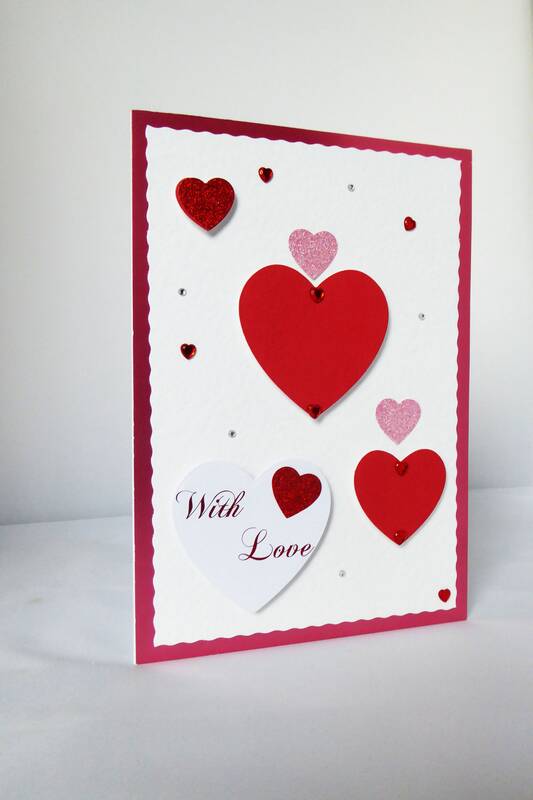 Inside is white insert Paper which has been die cut with hearts down the edge of the paper.